The US state of Colorado is known for its natural hot springs, with at least six of them being favorite tourist spots where thousands of visitors and nature-lovers throng every year. 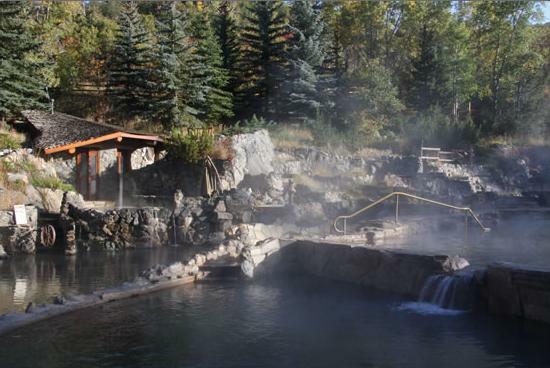 This is a list that tries to share with you a few of the best wild and natural hot springs for you to explore. 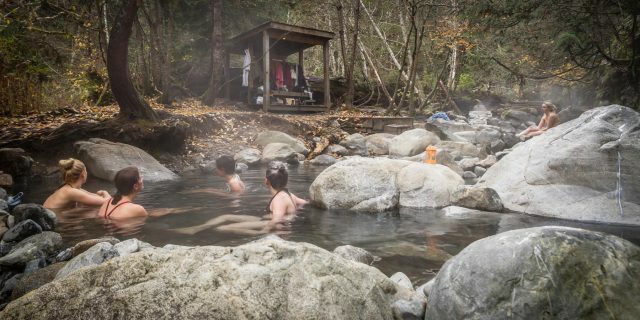 This steaming, natural spring has an enigmatic environment along with restrooms, parking, and changing areas, several picnic spots and many other facilities inside the premises. 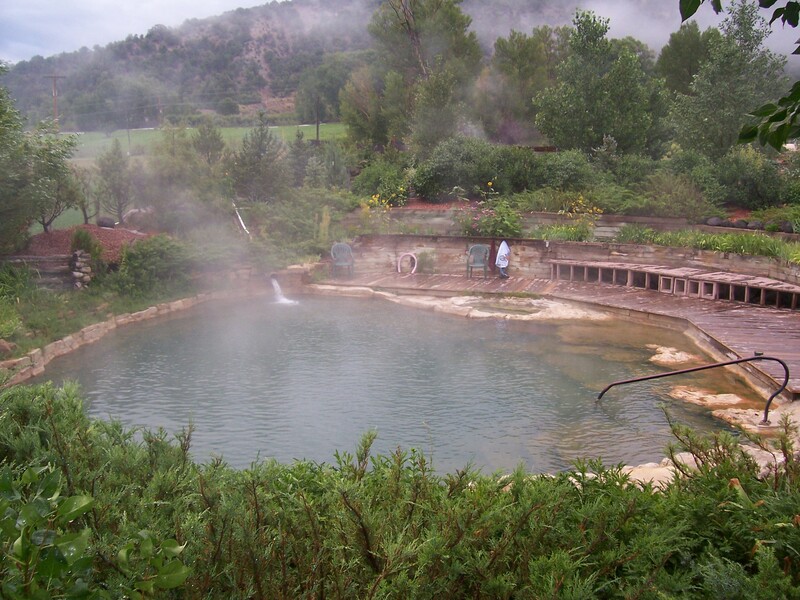 The natural hot springs at the Strawberry Park is one of Steamboat Spring’s several natural treasures. 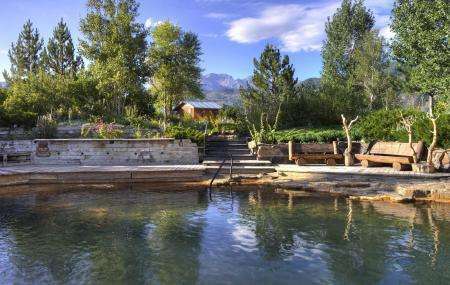 You might want to spend a night here with overnight rentals, which are quite popular around the year. 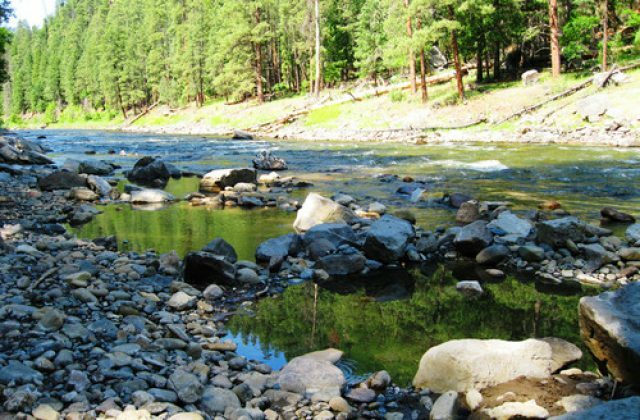 There is also the facility of biking, hiking, snowshoe trailing through the pleasant greens of the Routt National Forest nearby. 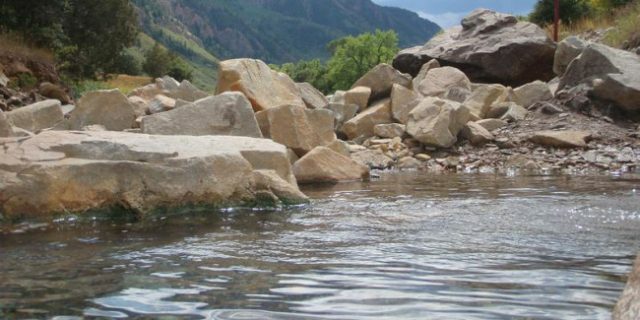 This site houses a primitive warm spring pool located on the banks of river Colorado in the US state of Colorado, and is slightly more than 2.5 hours from Denver. 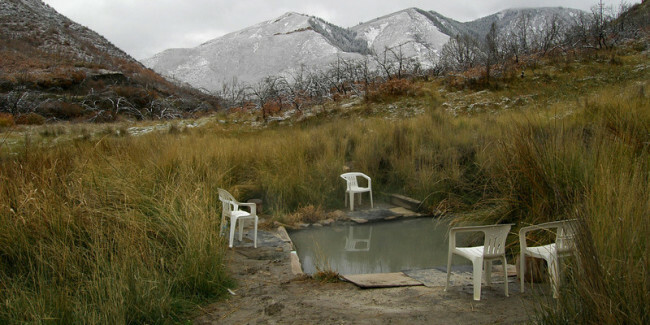 The free hot spring is located somewhere in between the towns of Kremmling, Eagle, and Edwards (with the closest being Kremmling). 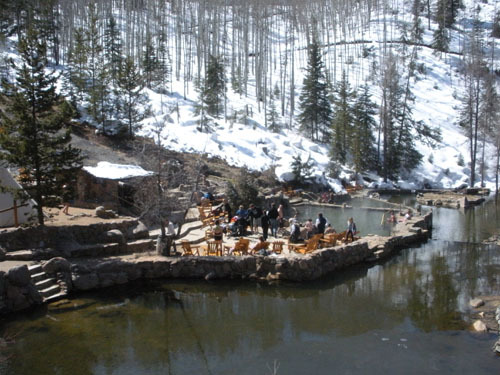 The hot spring is naturally supplied with hot mineral water from underground and mingles with the river water, thus adjusting the temperature, keeping it to approximately 80⁰ F.
However, especially during spring, the river goes high and often washes out the pool, allowing you to jump off the rocks into the water (there are enough rocks all around to cause accidents if you are not being careful though). The pool is approximately 20 feet in diameter, and you might as well spot wildlife, or can see people fishing, rafting or kayaking. 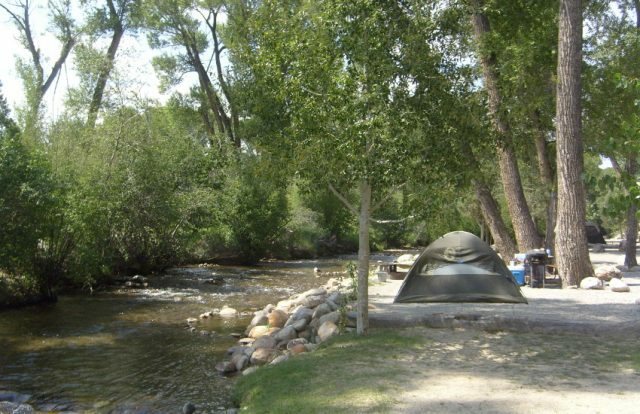 If you want to go camping, there are two group campsites, with per booking costing around $30, including one vehicle. 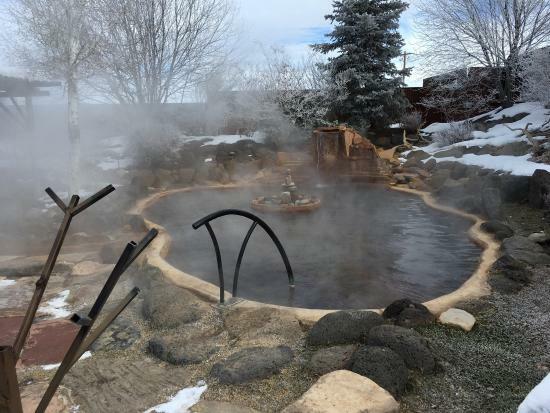 This is one of the two public hot springs located in the Pagosa Springs area in northern CO, and is meant for those having that adventurous factor! Interestingly, being just 15 feet above the West Fork of the San Juan River, this hidden hot spring is accessible by foot, as tired hikers can relax in the 95⁰ to 105⁰ warm water pool in a naturally blissful environment. 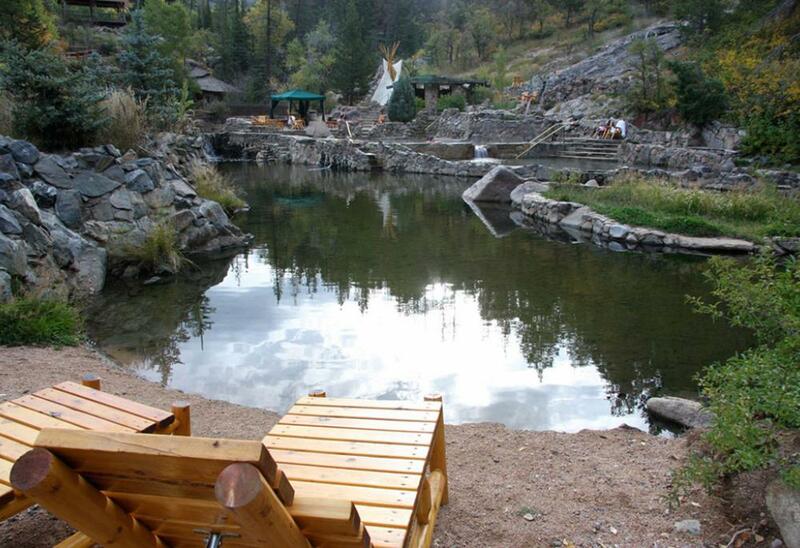 The best time to visit the Rainbow Hot Springs is during the seasons of spring and fall. 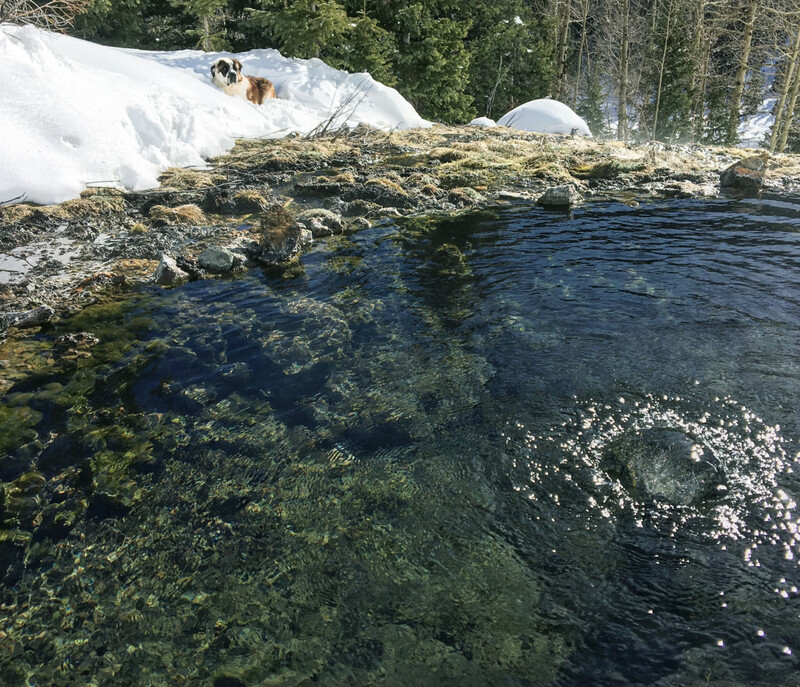 This is a natural wild spring and is one of the remotest in Colorado. 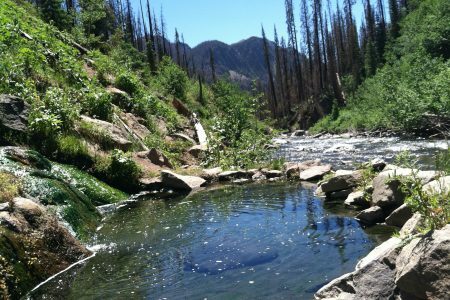 Located near Aspen in the wilderness of the Maroon Bells, you need to hike through the greens up to an elevation of 2,500 feet covering a distance of 8.5 miles. 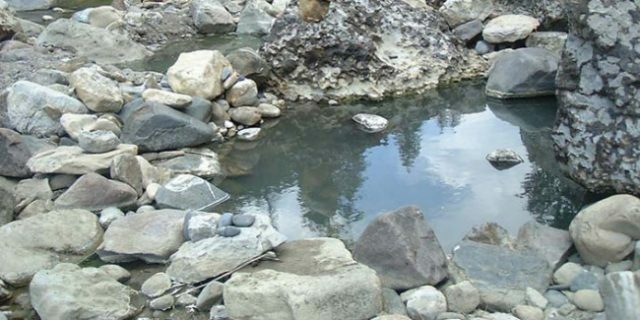 Interestingly, such hindrances couldn’t stop visitors from reaching the heights and taking a bath in the refreshing waters and enjoying the romantic views of the surrounding mountains that tower over 14,000 feet. 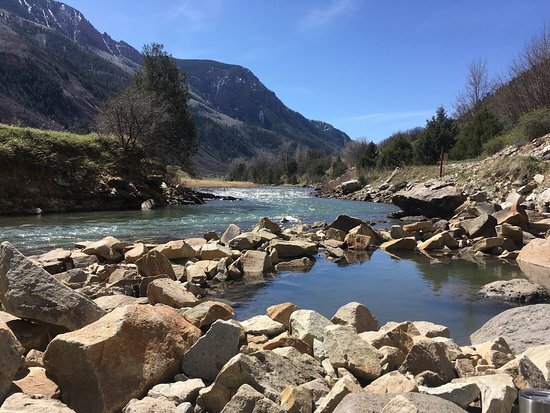 As some of you may be knowing, Chalk Creek is a 27.3 mile long river that emerged from the Collegiate Peaks mountain range in Chaffee County, Colorado, flowing east. 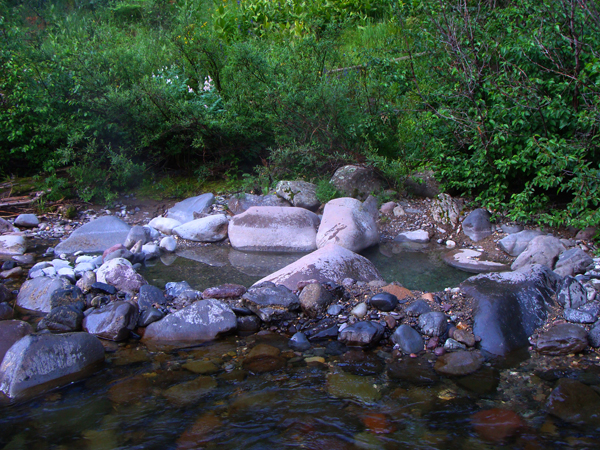 Several hot springs emerge in this valley. 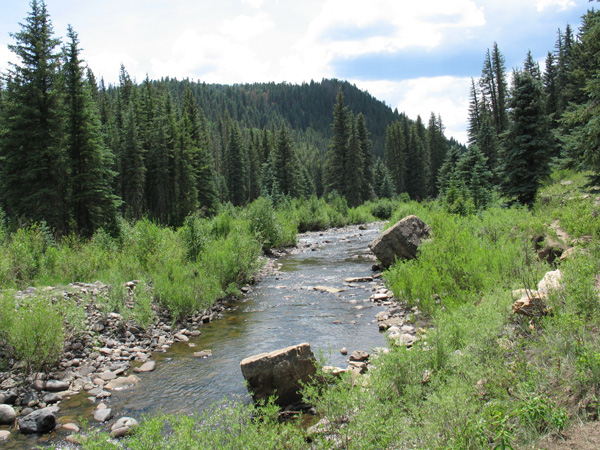 The area is surrounded by both privately owned, and US forest service lands. 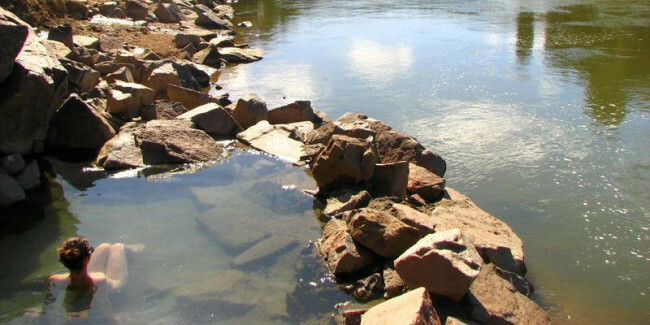 Campgrounds and public trails, including the Colorado Trail, and several other private resorts and cabins are also located along the banks of the river. This compound has seven naturally emerged hot springs. You can spend an entire night at the resort, and clothing here is also optional. 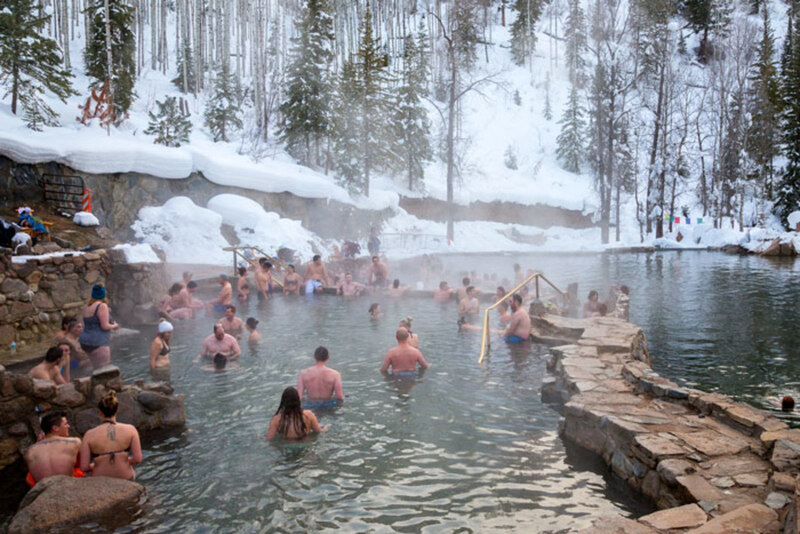 The temperatures of the springs range between 98⁰ and 112⁰. The waters have natural lithium that will help you to rest and relax, as also freshen up by the time you finish your bath. 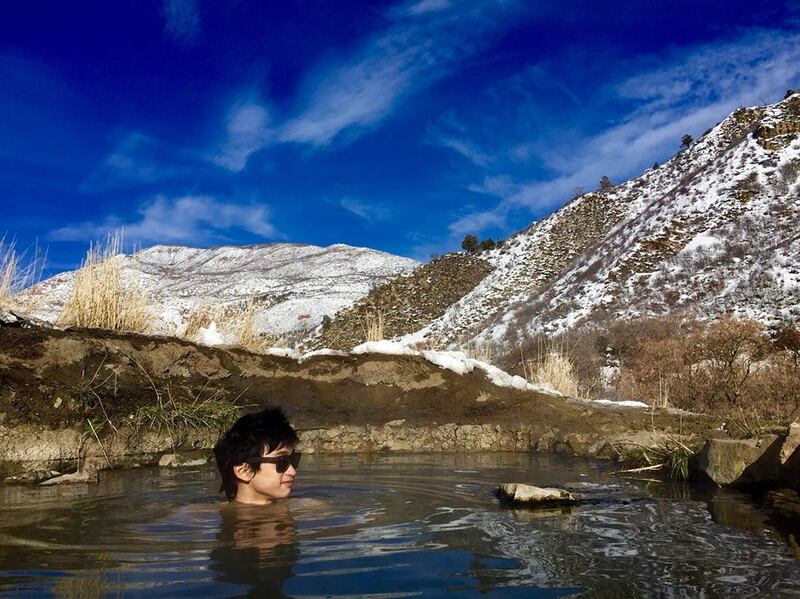 This is also a natural spring close to Carbondale on the River Crystal. This is another site where clothing is optional, and people are known to take bath here without clothes. 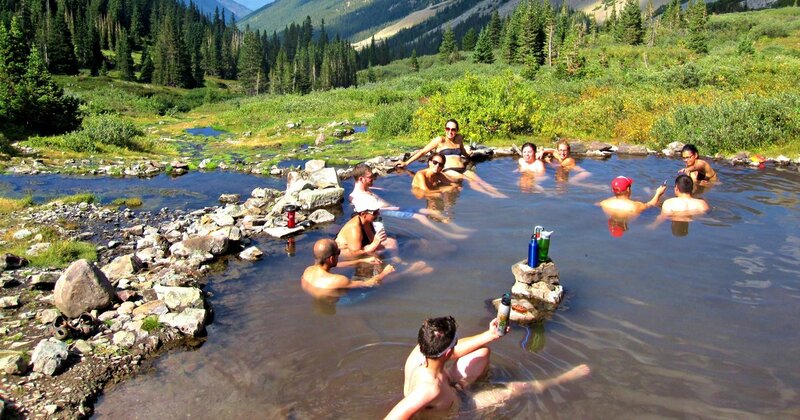 Once upon a time, the entire site was bulldozed over after a ranch owner lodged complaints about visitors bathing in their nudes. However, after some time, the wild spring revived again by removing the boulders. The unofficial caretaker of the spring is an Indian-born Sikh man, who reportedly wears nothing but his white turban. 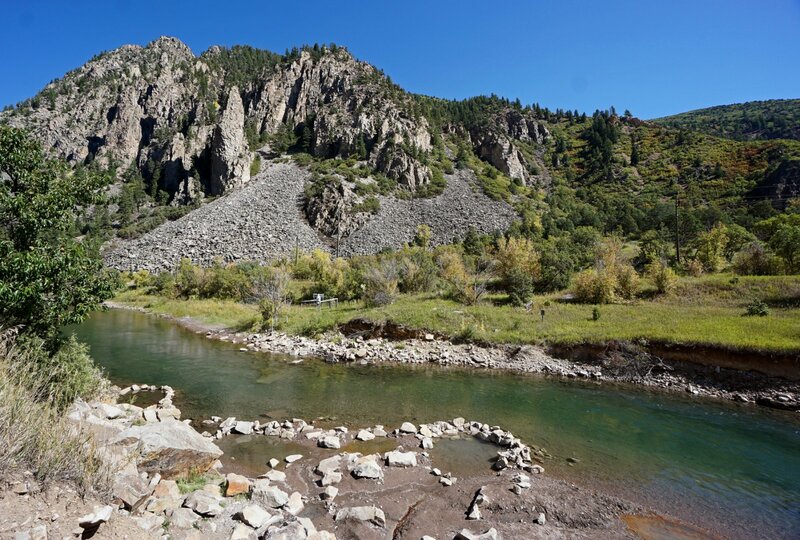 In the latter years, a spacious parking lot has been added by the Colorado Department of Transportation. 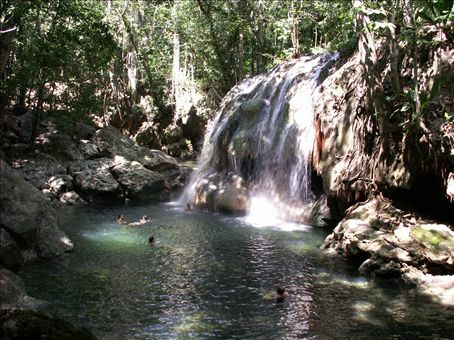 This natural watery getaway is located just at the outskirt of Glenwood with a whole lot of surprises waiting for you. 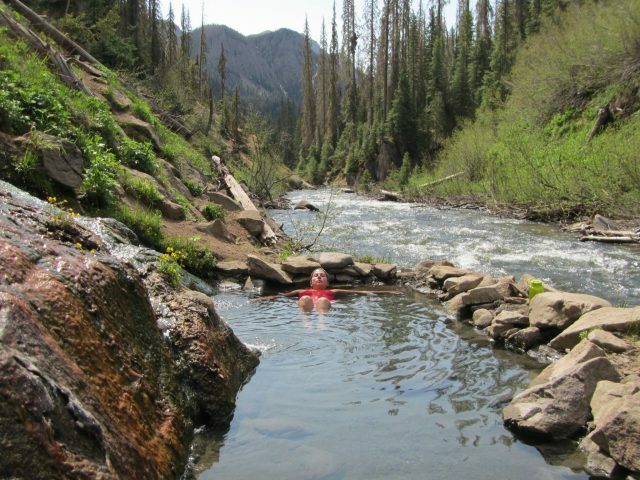 The scenic beauty, accompanied by the bubbly pleasant soak, is bound to mesmerize both your mind and body together. The place is otherwise clean; however, you might at times come across some trash left back by the previous visitors. To reach this hot spring, you need to hike through the wilderness for about a mile or so. It is situated outside of the Pagosa Springs, and if you are lucky enough, you might come across a couple of deer or other wildlife in the water of the shallow pools. 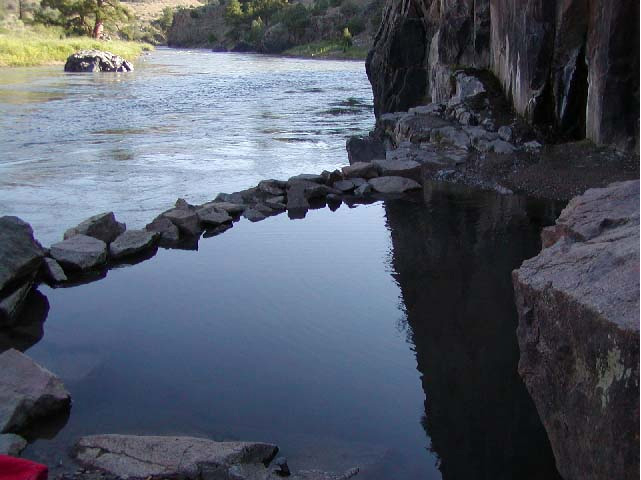 Interestingly, many groups of people have dug out rocks and rearranged them to make new pools around the site. 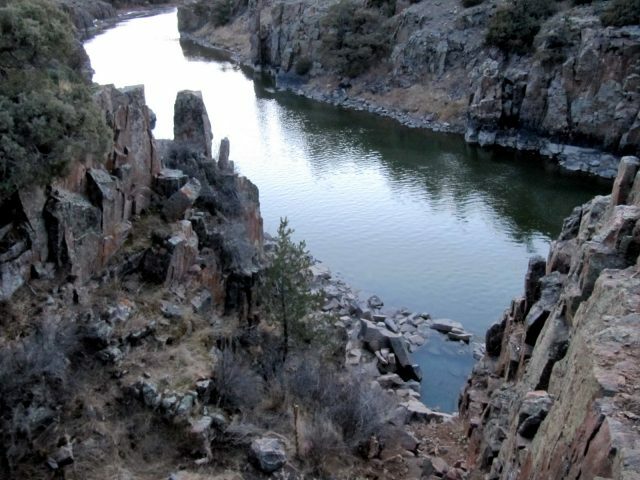 This site has an old and rich history that dates back to the ancient Native American culture of the Ancestral Puebloans from 1000 to 1200 years ago. The springs are said to have been discovered by one Frank Trimble who, reportedly, could heal his injuries and rheumatic problems bathing in the hot waters. Soon after, he built a hotel right at the site which stands even to the day. 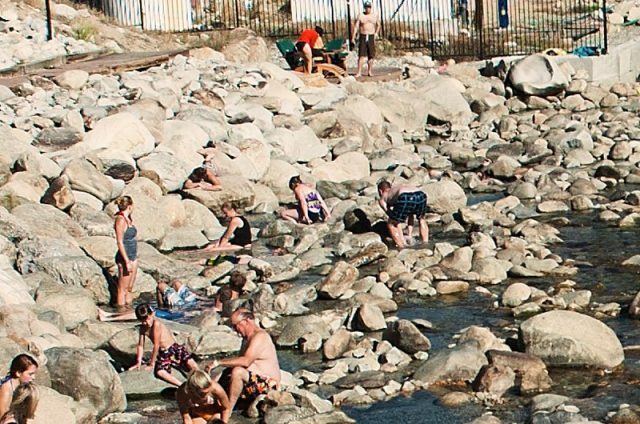 The water of the springs comes from the three wells that reach a temperature of around 123⁰ but cools down before it gets to the pools. The site is also ideal for younger kids. 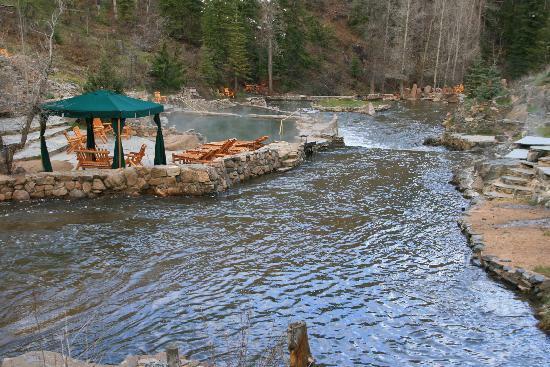 So now that you know the names of the choicest natural hot springs of Colorado state, along with all details and address maps, you are free to pack our bags and plan for a relaxing weekend, keeping yourself submerged in the wetting-warmth of the mineral-rich healthy natural springs!